Based in Cannock, serving throughout Wolverhampton, Stafford, Cannock and everywhere between. T&T World are a team of professional electricians, based in Cannock, available to expertly repair, install and upgrade all electrical elements in your home or business. 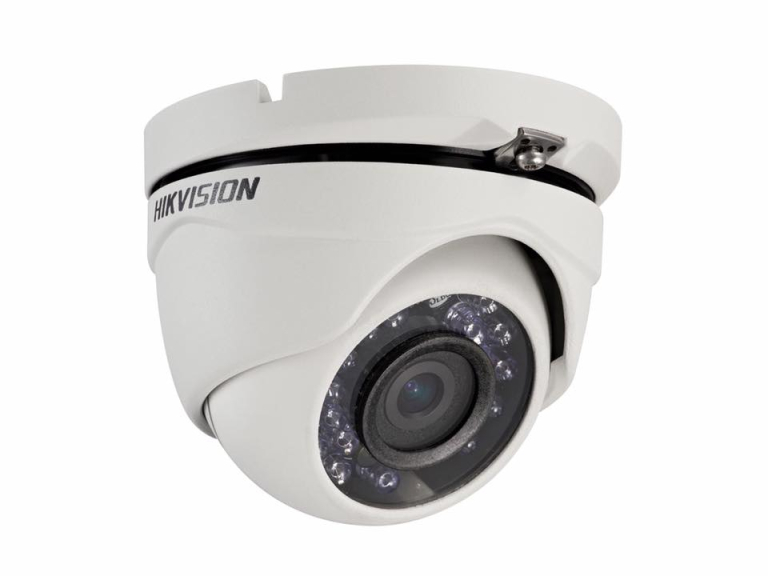 CCTV, burglar alarms and LED lighting installations are areas of specialism for the experienced team. T&T World have been trading since October 2008 and take pride in offering a high level of service and workmanship of the highest quality. T&T World are NIC EIC approved electrical contractors, Trustmark registered, CHAS approved and all employees are CRB/DBS checked for customer peace of mind. 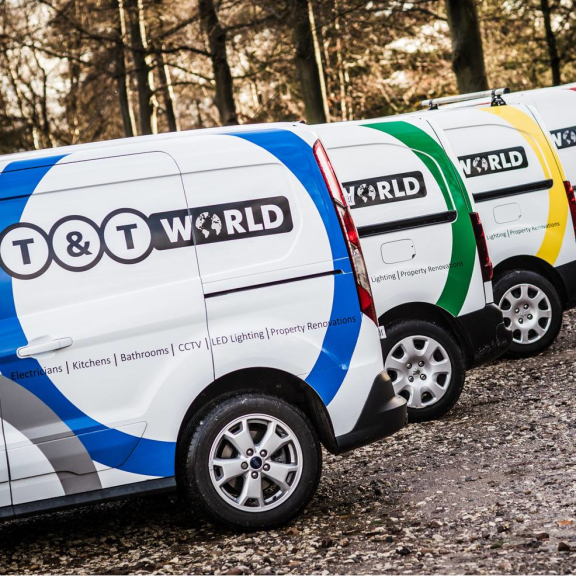 A 24 hour call out service is available from T&T World thanks to the team of qualified electricians operating from a fleet of liveried vehicles. T&T World are always just a phone call away. T&T World operate throughout the local area with regular and satisfied customers throughout the Cannock, Stafford and Wolverhampton areas. All electrical work is undertaken including both domestic and commercial work. T&T World are happy to quote for jobs of all sizes as the team appreciate the importance of all jobs for the customer, and the safety and satisfaction of each and every customer is paramount to all staff at T&T World. Whatever your electrical needs call the friendly team to arrange a free, no obligation assessment and quotation. A complete electrical service is provided by the team of electricians at T&T World. Common work includes landlord safety test, installation of lighting and additional power sockets, fault finding, garden lighting, electrical under floor heating, re-wires, fuse board upgrades and more. Whatever your electrical needs call the team at T&T World for first class service and electrical work guaranteed to meet current electrical legislation and safety standards. CCTV and burglar alarm systems form a major part of the work undertaken by T&T World. Commercial and domestic CCTV and alarm systems are supplied and installed by T&T World at cost effective rates giving the property owners greater peace of mind. There are a wide array of systems available on the market, but the team at T&T World have the experience and expertise to provide a system that best suits the customer's needs, property and budget. CCTV systems from T&T World can include mobile viewing on smart phones, iPads and more. Get expert help and peace of mind from the professionals at T&T World for all your CCTV and burglar alarm needs in the Cannock, Staffordshire and Midlands area. Changing to low energy, LED lighting in your home is good for the environment, not to mention the benefits of lower bills and more money in your pocket. The bulbs last a lot longer than traditional or halogen lighting bulbs. The heat given off is also much lower making them a great choice for a range of applications. Coloured LEDs allow for statement lighting for those looking to make an additional impression with their lighting. Contact the team at T&T World to discuss changing to LED lighting, perfect for both domestic and commercial applications. Call T&T World on Cannock (01543) 406288. Please mention thebestof Cannock when contacting T&T World for electrical work, CCTV and alarms. In response to demand from customers T&T World also now provide a complete service for kitchens bathrooms and property renovations. Being a part of these projects managed by other companies often frustrated the T&T World seeing customers frequently let down and left disappointed and stressed. T&T World therefore now provide a complete service for kitchens, bathrooms and renovations including all aspects of design and planning, supply and professional installation. Specialists are used when required but all is managed by T&T World to ensure a smooth and hassle free project. Call the friendly team to discuss how T&T World can deliver the home improvements of your dreams.